The coming weeks may be all about Apple pushing out new hardware in the form of the iPad mini, the fourth-generation iPad and new Macs but it seems that today is firmly dedicated to getting improved versions of iOS out to as many users as possible. 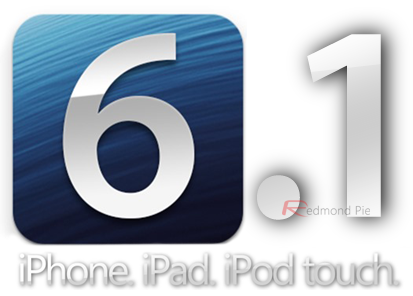 In addition to the public release of iOS 6.0.1 earlier today Apple have seeded the initial beta of iOS 6.1 to registered developers via the official developers center. Build number 10B5095f went live moments ago and is available to those who hold an iOS developer account to download across compatible iPhone, iPod touch and iPad devices. The official change log appears to be shrouded in secrecy with some reports suggesting that Apple are holding an NDA to developers to prevent discussion pertaining to what is included in this latest developer beta. The obligatory bug fixes seem to be included with this latest developer release, a lot of which come as an extension to the 6.0.1 public release this morning. From development perspective, Apple have made some changes and improvements to how developers can use and integrate the new mapping technologies into their applications. The beta and related beta development tools also include improvements to how passes are handled in the new Passbook app as well as some minor unidentified changes to Mobile Safari. In terms of the mapping changes, it looks like Apple engineers have added some new APIs for developers that gives enhanced search possibilities with apps that included the new vector based Apple maps. In addition to iOS 6.1 beta 1, Apple have also made Xcode 4.6 and the 6.1 iOS SDK beta available for developers through the portal. Xcode 4.6 developer preview 1 offers a number of enhancements such as supporting auto layout of interfaces on iOS and OS X as well as making some changes to fully support the Retina display of the MacBook pro models. A number of known issues still exist with this release including certain compiler problems as well as the deprecation of the native ATS framework. The immediate release of the iOS 6.1 first development beta following the public release of iOS 6.0.1 (you can download iOS 6.0.1 from here) shows that Apple are serious about ironing out any issues that have been reported to them. A lot of testing is required but we can only hope that Wi-Fi and keyboard issues are permanently fixed with these releases. 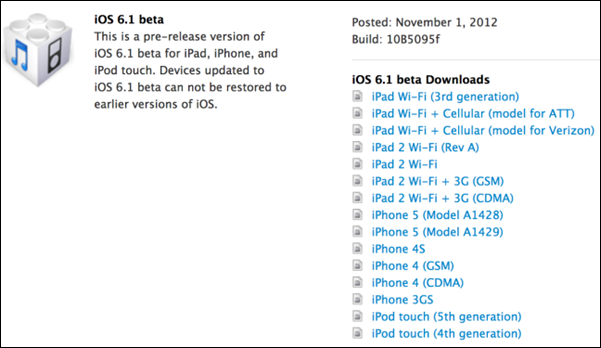 iOS 6.1 beta 1 can be downloaded from iOS Dev Center.